In there you might spot some old favourites that pop up on here over and over again: NARS Luster, Stila Kitten, MAC Soft and Gentle, NARS Sheer glow and the Kevyn Aucoin sculpting powder… All time favourites right there. I find it really easy to get into a routine with certain products, and especially when you’re in a rush you can reach for what you know works. Some current newer favourites include the By terry Ombre blackstar in Bronze moon, the Max factor masterpiece mascara and the NARS creamy concealer. The two newest additions are the Laura Mercier primer and the ELF Tone correcting powder in Cool. 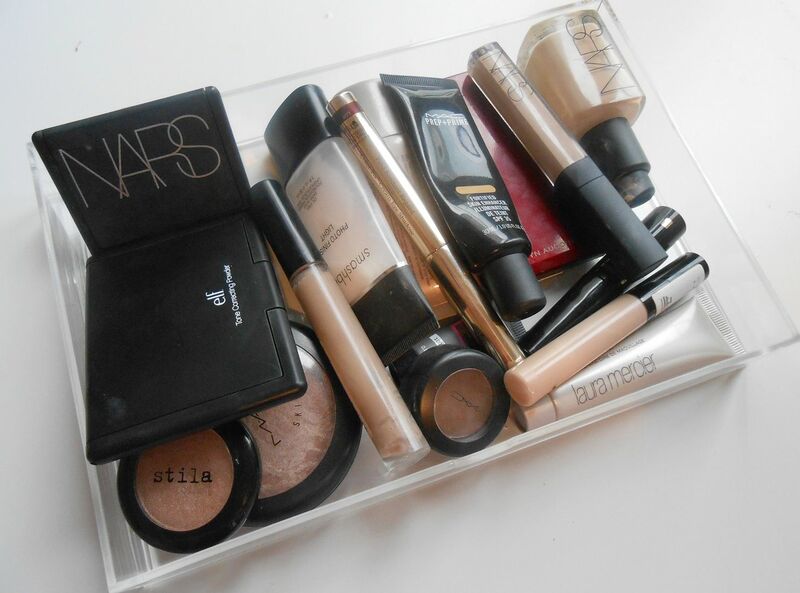 How do you store your everyday makeup bits?